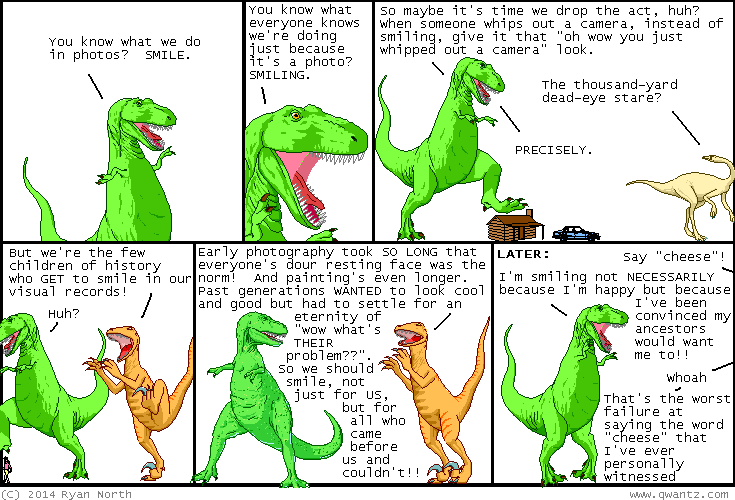 Dinosaur Comics - December 18th, 2014 - awesome fun times! December 18th, 2014: TRYING TO CONTROL HOW YOUR BODY AND SELF IS PERCEIVED NOT JUST IN THE PRESENT BUT BY ALL FUTURE GENERATIONS, AM I RIGHT? ?